Admob is a mobile advertisements platform run by google. admob is better than any other ad networks because the payment and quality is good. they are the most trusted ad network and millions of advertisers use admob. 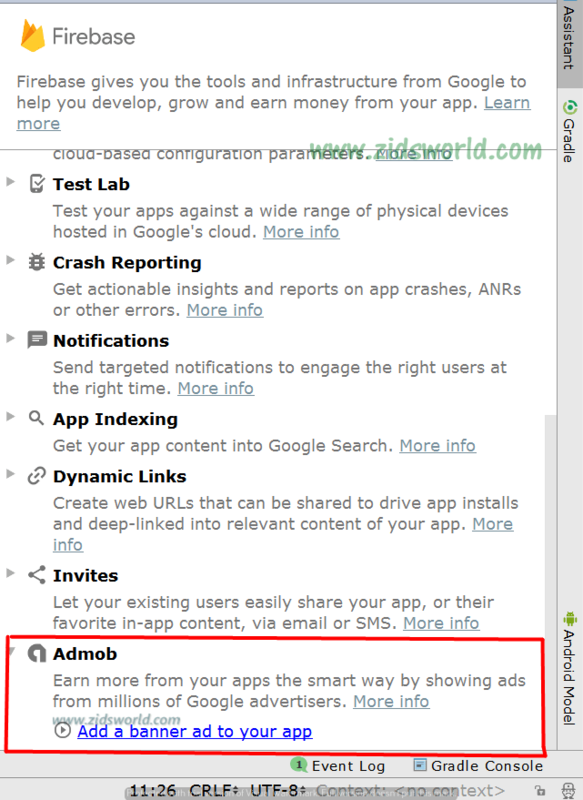 We will learn how to add/integrate Google Admob ads into your android app and make money from your app users by showing ads to them In this tutorial. in this tutorial, we will try to add a banner ad into our app. Sign Up on Admob for an account, Sign Up for Admob here. In this step, we are going to add the ad sdk to your app. 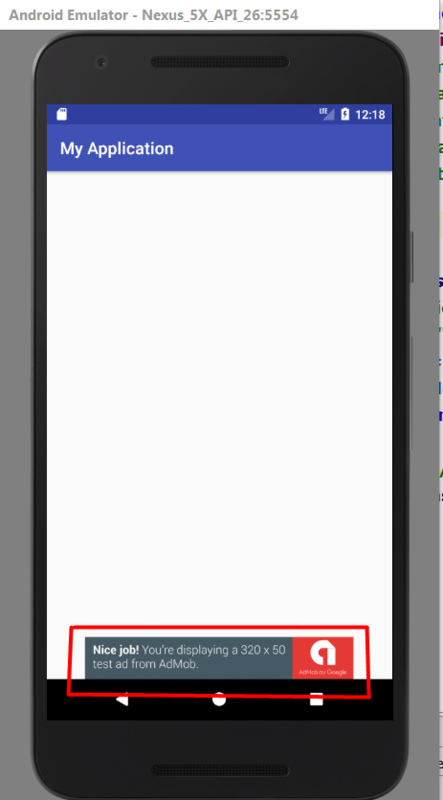 after adding the sdk and a few lines of code, your app will be able to show ads. 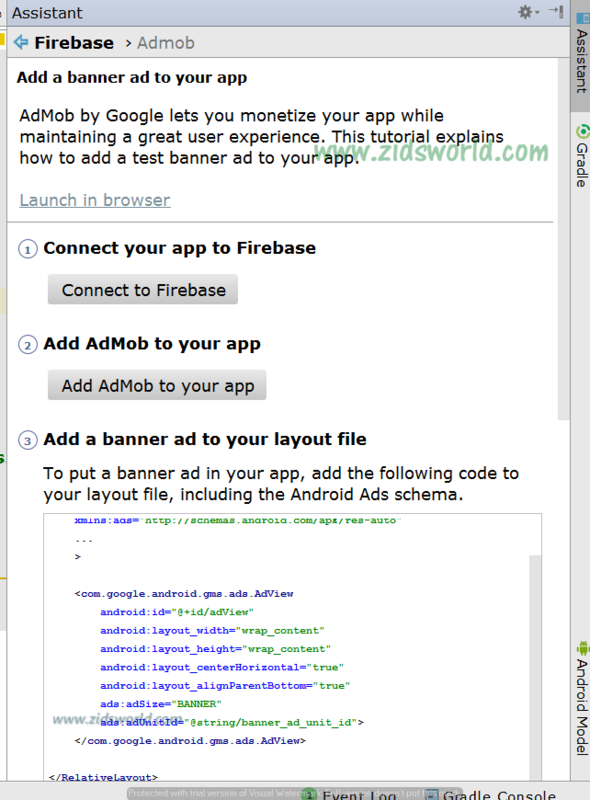 In bottom of the menu, you can see “Admob” , select “add a banner ad to your app“. 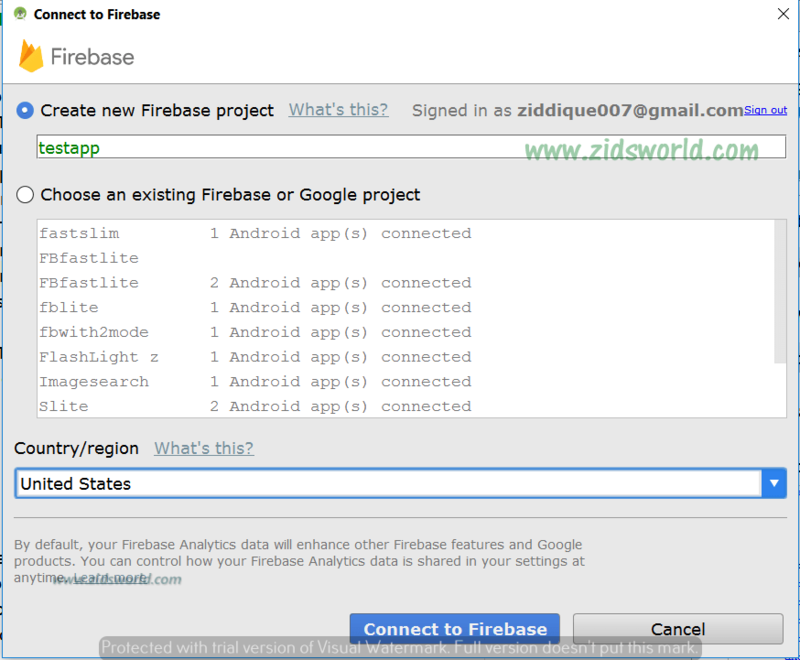 Select “Connect to firebase“. 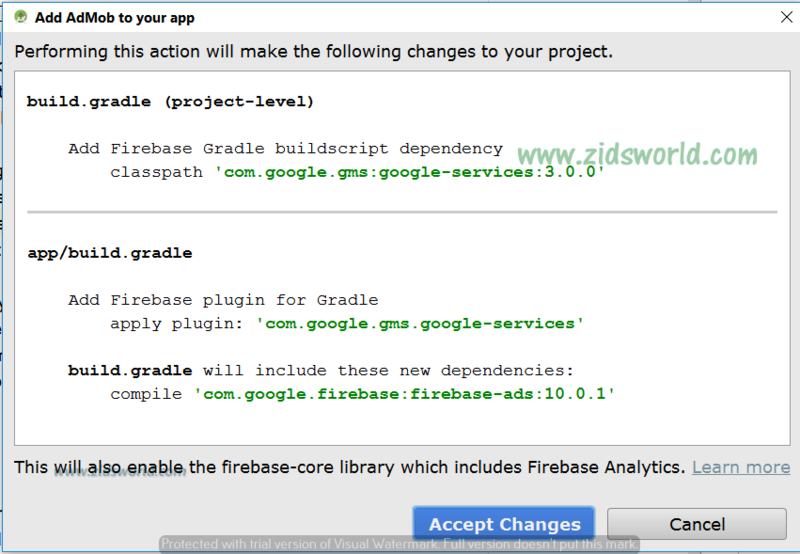 now the android studio will try to connect to firebase, you will need log in to your gmail account, you might need logged in or sign up into firebase also. wait until the android studio successfully connect to firebase. After connection, a new menu will appear asking you to add your app to firebase. enter your app name into the text box and select your country. click “Connect to firebase” button. 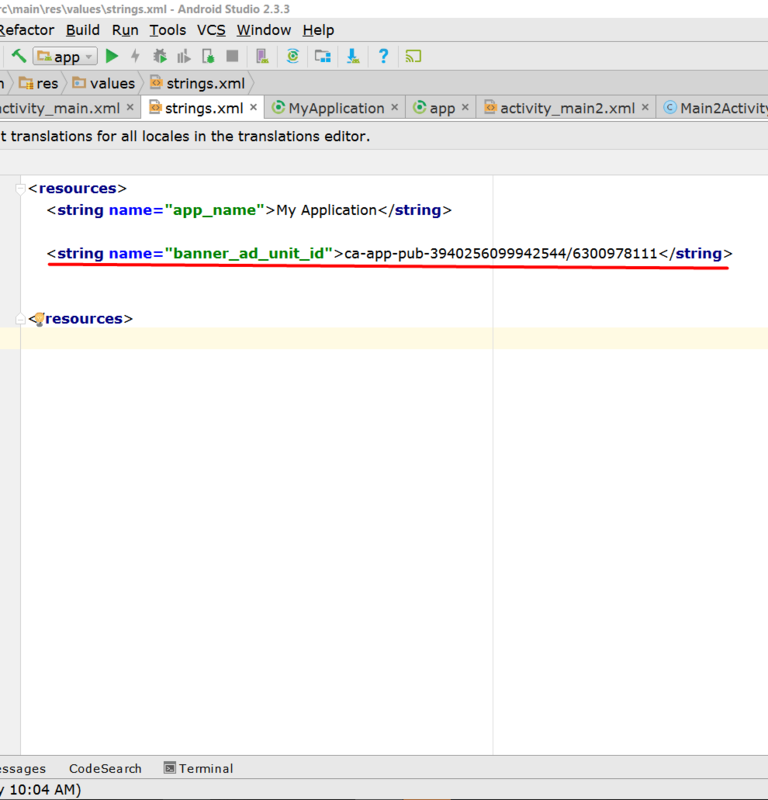 and wait few minutes until android studio connect your app to firebase and do some work in the background. 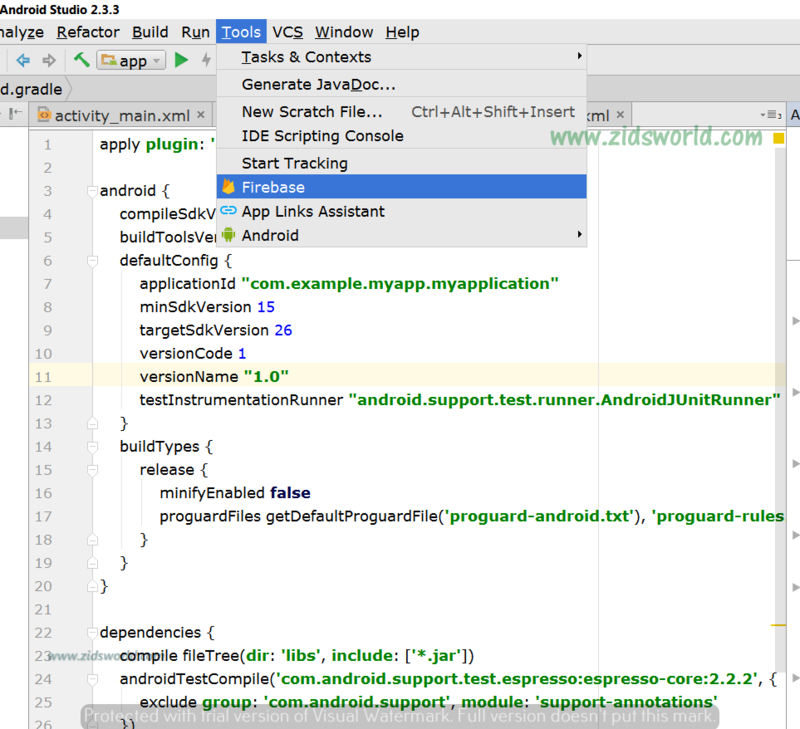 Now the android studio will ask you to add the SDK to your project gradle files, this adds the ads sdk library to your app. this library is required to load and show ads in your app. Next click on the Add admob to your app button, a new menu will appear asking your permission to add the dependencies . Click “Accept changes” and you need to wait until android studio sync the library with gradle files and add the required dependencies. Now your app is almost ready to show ads. 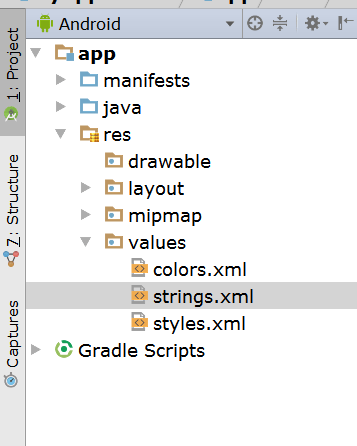 in next steps, we will need to add some xml and java codes into our app. 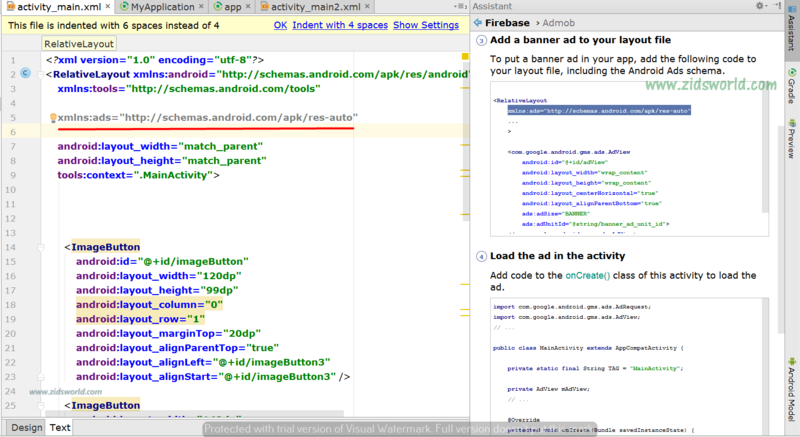 Open your activity_main.xml layout file, or other layout where you want to add banner ad. in that layout, add the following code in the top. 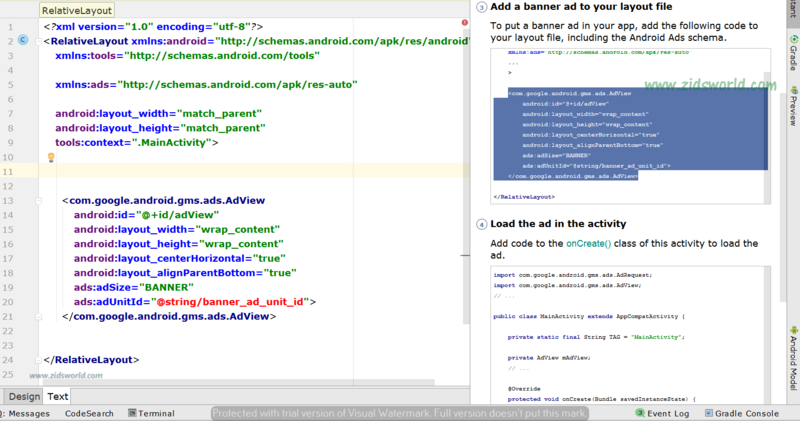 Next, add this code, this code places ad banner view in the bottom of your app layout. in the Strings.xml. you need your adUnit Id from admob. and go to res > values > strings.xml. In the strings.xml, add this adunit id code. Replace the “ca-app-pub-3940256099942544/6300978111” with your adunit id later. this current id is for testing ads. keep in mind that you should always use test adunit id. testing your app with your real adunit id is against admob policy and they can suspend your admob account. you should use your real adunit id only when releasing the app. So we added sdk, added codes in the layout file, added adunit id in the strings. next we need add some codes to the java. 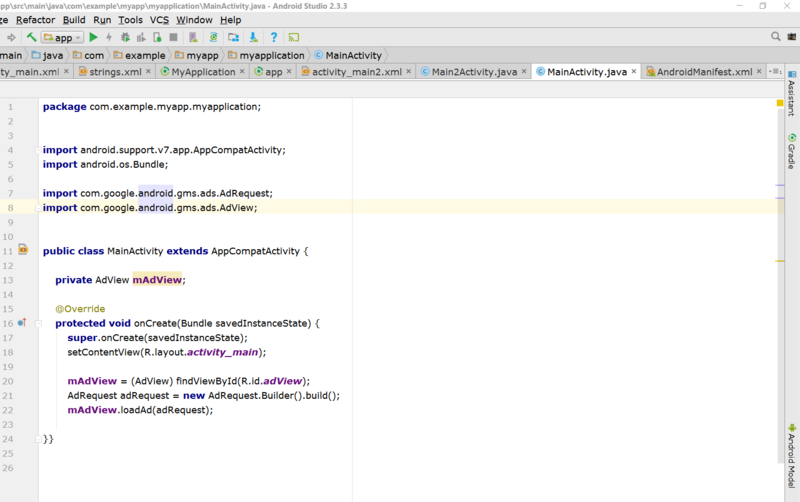 Open your MainActivity.java or the activity where you wish to add the ads. add the codes to the java, this is full code, your java code should look like this. The app is now launched and a test ad is shown in the bottom of your screen. this is a test ad, by replacing the adunit id in strings.xml with your unique ad unit id, the real ads will be shown.